Cuba, the hottest cruise destination of the last year, has now become the hottest theme in cruise ship entertainment. 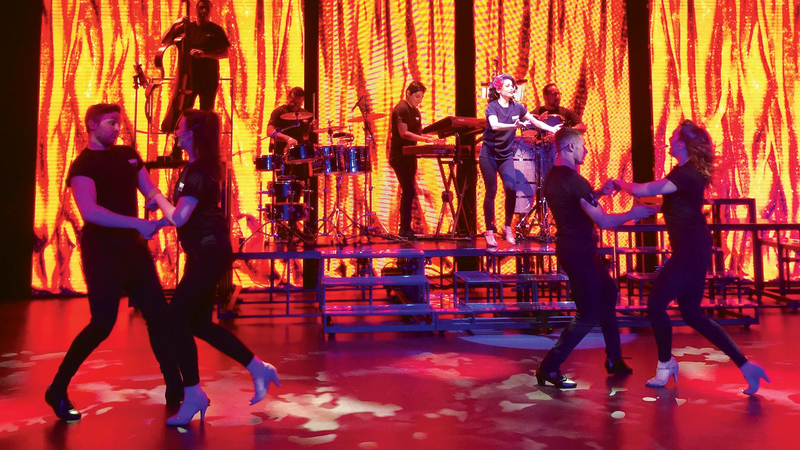 The island’s recent opening to U.S. tourism is inspiring show producers and casting directors at several of the Miami-based cruise lines, and production teams are using it as a springboard to explore Cuban culture and stress the authenticity of the music, costuming and overall approach. themed show on its ships or has one in development. Royal Caribbean International’s “Bailamos” is already being staged on the Empress of the Seas as that ship sails from Tampa on itineraries that include Havana. Carnival Cruise Line is shifting a production of its “Amor Cubano” show to the Carnival Paradise when it begins Cuba sailings in June. Norwegian Cruise Line, meanwhile, is preparing an ambitious show developed by Tony Award-winning choreographer Warren Carlyle for the debut of its next ship, the 4,000-passenger Norwegian Bliss, in 2018. The show is a blend of Spanish and English language songs, sung and danced by a cast of 12 and backed by a four-piece Cuban band. It is performed against a backdrop of scenes from Cuba projected on a 480-square-foot LED screen. Kerry Stables, director of creative development in Carnival’s entertainment department, said the show was proposed in 2015 by Peter Flynn, a Broadway director who had done five shows previously with Carnival’s creative team. In contrast, “Amor Cubano” is authentic enough that audience members born on the island have cried during some of the numbers, said Sarah Beth Reno, Carnival’s entertainment vice president. The show, which debuted on the Carnival Vista, was added to the Carnival Glory in the fall of 2016 and will open on the Carnival Paradise next month. “Once the announcement was made about the Paradise going to Cuba, it was a given that we should add the show to that ship, as well, to truly expand the guests’ experience while enjoying Cuba first hand,” Stables said. Royal Caribbean’s cruise to Cuba aboard the Empress of the Seas features two shows that have elements of Cuban entertainment. The first, “Bailamos,” which means “let’s dance” in Spanish, showcases Latin music in a broad range of styles, from nostalgic Hollywood to new musicals on Broadway. The second, called “Three,” is a tribute to showgirls of yesterday, today and tomorrow. The costuming, with its towering feather headdresses, is reminiscent of those that tourists in Havana can see if they visit the legendary Tropicana Cabaret for its two-hour outdoor extravaganza. At Norwegian Cruise Line, the entertainment team has been working for nine months on an original musical. Ambrose said the costuming will be done by New York-based Cuban-American fashion designer Isabel Toledo, while the art direction and scenic design will go to her husband, artist Ruben Toledo. The show is targeted for the Norwegian Bliss, which debuts in June 2018 in Seattle with “Jersey Boys” as its lead show. Ambrose said the Cuban production will be equally exciting but in a different vein. “We think this is going to blow the roof off entertainment, not only at sea but everywhere in the world,” he said. Brexit could affect freedom of movement and prices of cruises, Clia chairman Stuart Leven has said. 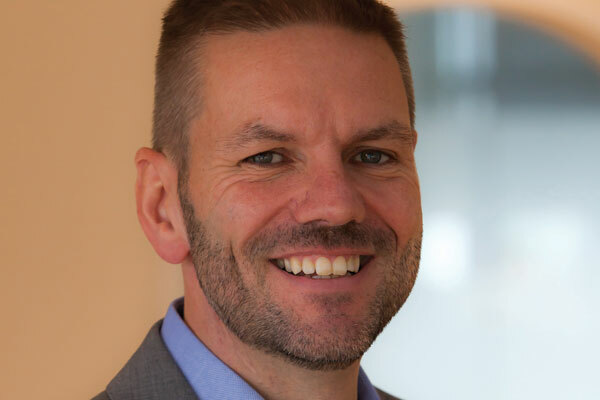 Speaking at the annual Clia Conference in Southampton Leven, Royal Caribbean International’s vice president for Europe, Middle East and Africa, said Brexit would impact cruise in three ways. “Firstly it could impact the freedom of our guests and passengers to cross borders, the second is freedom of our staff and our crew to cross borders. Leven said the main risk from the changes by Brexit will also come when customers book their holidays during the process until 2019 but it was down to agents to maintain confidence in cruise and travel market. “At some point next year people will be booking their holidays for 2019 and in doing so there will be a lot of uncertainty around whether people will need visas to go to Europe. In his role as chairman for Clia in UK and Ireland Leven said he was working with the Abta committee in making sure ‘the cruise industry is represented’ in government negotiations. Norwegian Cruise Line and MEYER WERFT today celebrated the keel laying of Norwegian Bliss at the yard’s state of the art facility in Papenburg, Germany. During the ceremony, the first of 90 blocks that will comprise the 167,800 gross ton vessel was lifted into the covered building hall, officially marking the start of the ship’s assembly. Norwegian Bliss is due for delivery in April 2018 and will be the first cruise ship custom built with features and amenities for the ultimate Alaska cruise experience. Andy Stuart, Norwegian Cruise Line’s president and chief executive officer, was present in the hall and laid the traditional “lucky coin”, etched with the outline of the ship’s signature hull designed by wildlife artist Wyland, before the first block was lowered into place. The third ship in the line’s Breakaway-Plus class, Norwegian Bliss will accommodate 4,000 guests and will be the 12th ship in the Norwegian Cruise Line fleet to be built by MEYER WERFT. “We are very happy to celebrate the start of the block assembly for another new build with Norwegian Cruise Line. This ship will be another milestone in our collaboration to create most efficient and innovative cruise ships”, said Tim Meyer, Managing Director of MEYER WERFT. During her inaugural summer 2018 season, Norwegian Bliss will sail weekly seven-day Alaska cruises each Saturday from the recently expanded Pier 66 Cruise Terminal in Seattle, offering guests the premier way to see America’s last frontier, while also providing all of the innovative features, entertainment, signature dining and onboard experiences that Norwegian Cruise Line is known for around the globe. The ship’s itinerary will feature calls in Ketchikan, Juneau, Skagway and Victoria, British Columbia, along with scenic glacier cruising. Norwegian Bliss will sail her inaugural Winter season beginning in November 2018, sailing seven-day Eastern Caribbean cruises each Saturday from PortMiami, featuring calls in St. Thomas, US Virgin Islands; Tortola, British Virgin Islands and Nassau, Bahamas. Norwegian Bliss’ curated design will offer guests the freedom and flexibility to “Imagine Bliss” and create their ideal experience at sea, with a wide variety of accommodations including luxurious suites in The Haven by Norwegian®, Studio staterooms for solo travelers with virtual ocean views, and new connecting staterooms ideal for large groups and families traveling together. Norwegian Bliss will also feature two observation lounges, including one exclusive to guests of The Haven®, perfect for whale watching in Alaska or taking in sunsets in the Caribbean. Norwegian Cruise Line will take its award-winning entertainment programming to the next level aboard Norwegian Bliss, bringing the best of Broadway to sea, with the 2006 Tony Award® winner for “Best Musical,” Jersey Boys, and a completely new and original show created by Tony Award®-winning director and choreographer Warren Carlyle, headlining on the ship’s main stage, the Bliss Theater. Norwegian Bliss will also feature a new theatrical cocktail hour experience, Happy Hour Prohibition-The Musical. Alibi, the ship’s reimagined comedy club and nightlife venue will feature two comedy performances six nights a week. Rock and roll will take center stage at The Cavern Club, an outpost of the legendary Liverpool club where the Beatles’ performed frequently in the 1960s, with nightly live performances and a Beatles cover band singing hits like “Penny Lane,” “Yellow Submarine,” and more. Continuing its tradition of featuring original artwork on its ships’ hulls, Norwegian Cruise Line has commissioned Wyland, one of the world’s premier marine life artists, to design the hull art for Norwegian Bliss; the artwork will feature images of humpback whales, found in every ocean around the world. The ship’s hull will serve as a large canvas to showcase the importance of conservation and ocean preservation.